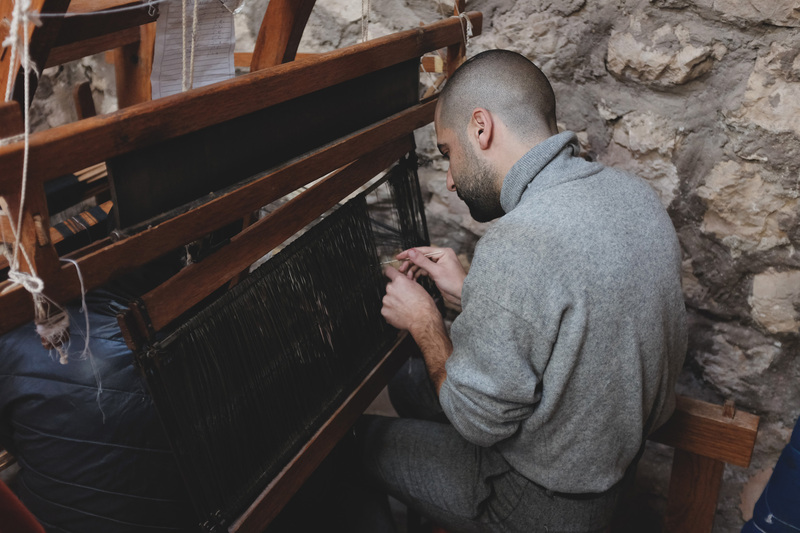 Textiles play a big part in the Jordanian culture and that of the area around it. 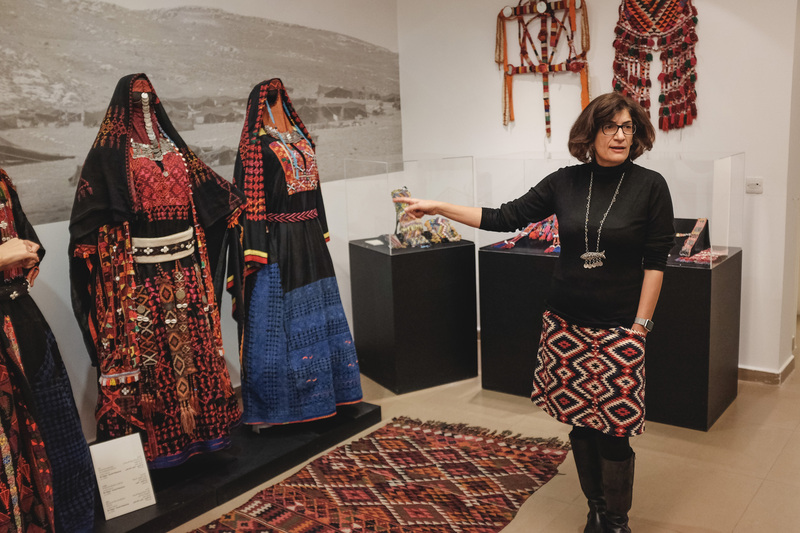 Throughout history, Jordanians have used textiles in practical, day-to-day uses; in architecture, as we see in Bedouin tents, furniture, products, and clothing and fashion. More than that, textiles have been an important part of the culture and identity of a place, reflecting its history, lifestyles, economy, and values. More recently, the textile industry in Jordan has become dependent on the import of raw materials from abroad. Jordan lacks adequate resources such as water to develop raw materials for the textile industry and thus be self-sustainable. 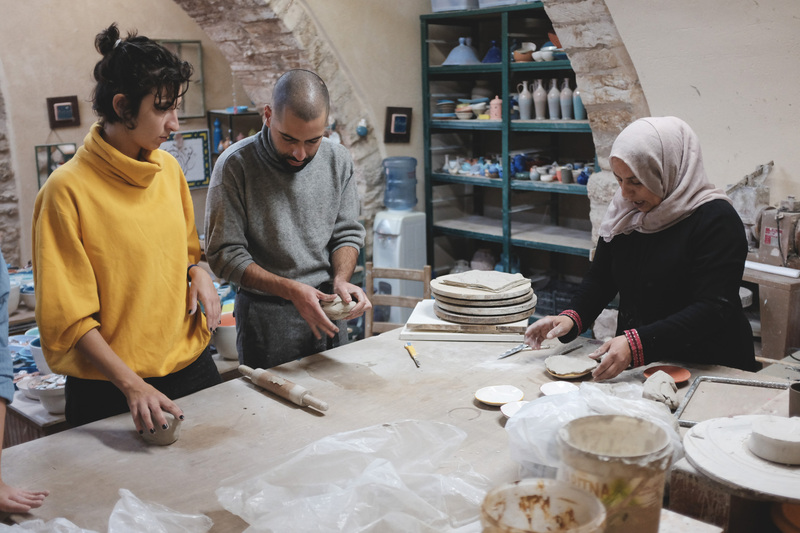 It has become necessary for designers and platforms such as ours to to experiment with new, innovative materials and techniques, which are sustainable and applicable in Jordan. 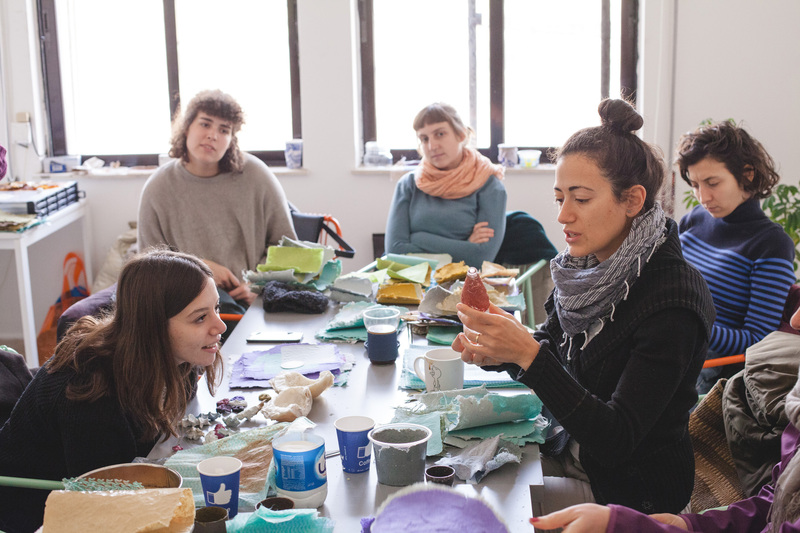 Amman Design Week, in collaboration with the Goethe Institut, recently concluded its first workshop in the Textile Innovation Lab series, under the title ‘Material Innovation’. 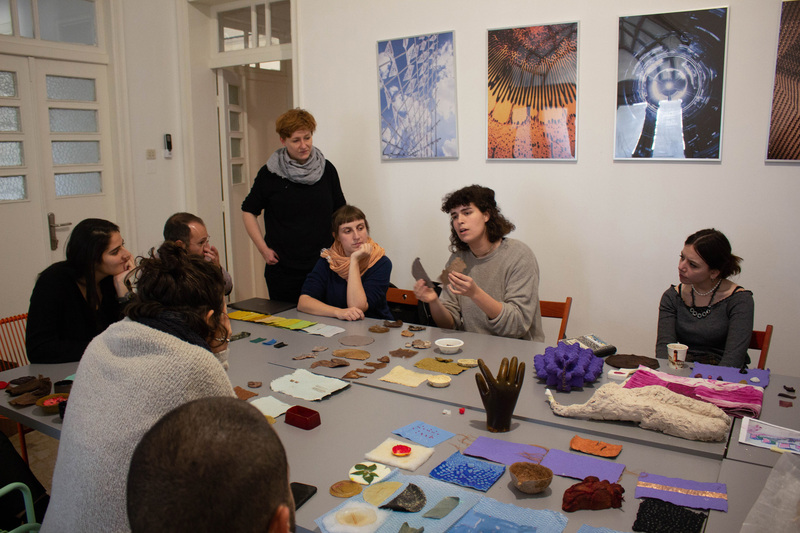 The workshop, which ran between the 9th and 18th of December of last year, was facilitated by German textile expert Annette Fauvel, who was accompanied by Jordanian designer Basma Omar and ten participating designers, artists, and creators from different specialities and backgrounds. 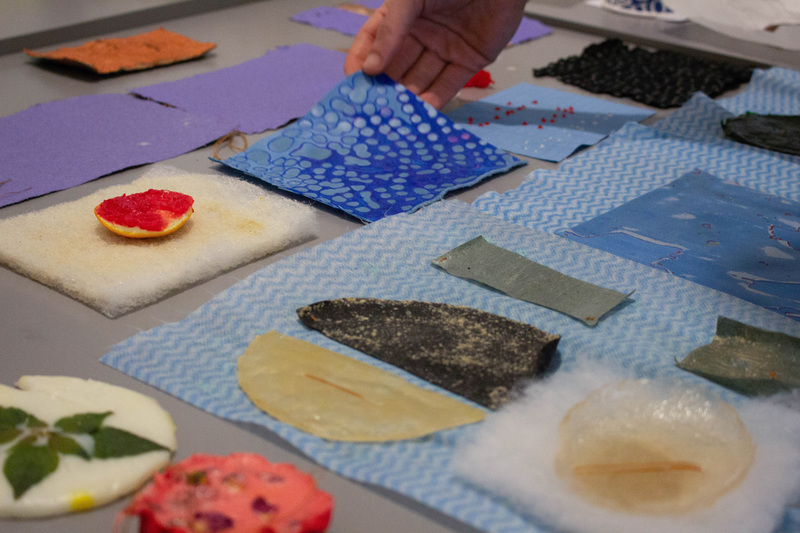 Being the first in the series, the Material Innovation workshop introduced participants to new and innovative materials and techniques to be used in the textile industry. 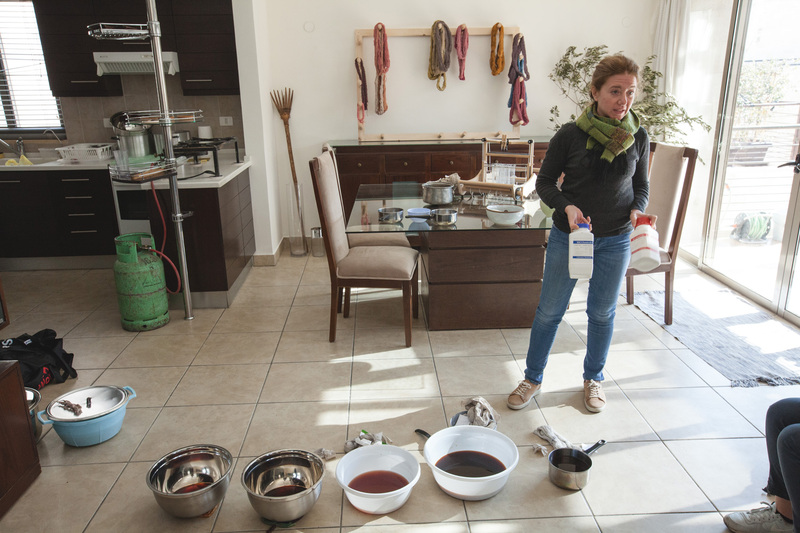 These materials and techniques are a more sustainable alternative to conventional methods used today, and are applicable and sustainable in the context of Jordan. 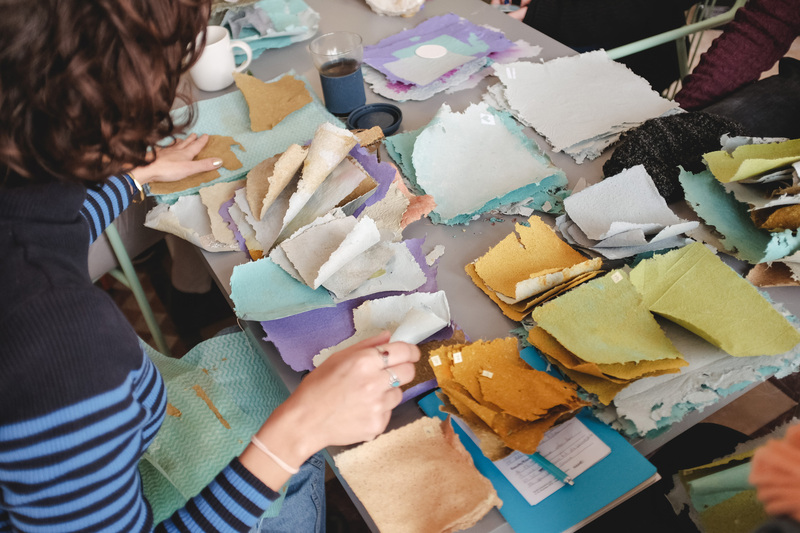 Participants were introduced to growing Kombucha leather, paper-making, and making bioplastics, to develop new materials and prototypes. The 9 day workshop consisted of a series of talks, workshops, and field visits. Being an essential component in the participants’ learning program, two full days were designated to the field visits, where participants visited various textile production facilities and sites that would aid their learning and discovery. 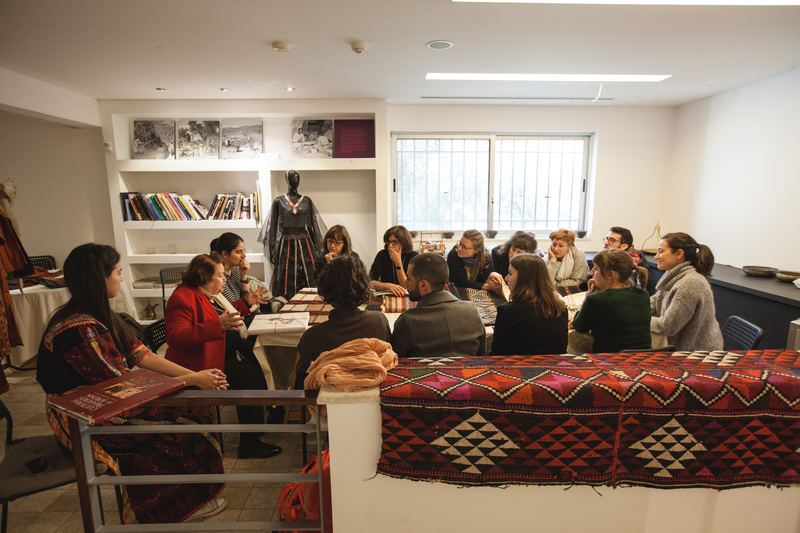 During their visit to ‘Tiraz: Widad Kawar Home for Arab Dress’, participants were introduced to Bedouin weaving patterns and techniques. They learned about the traditional dresses of Jordan and Palestine and the differences between them. 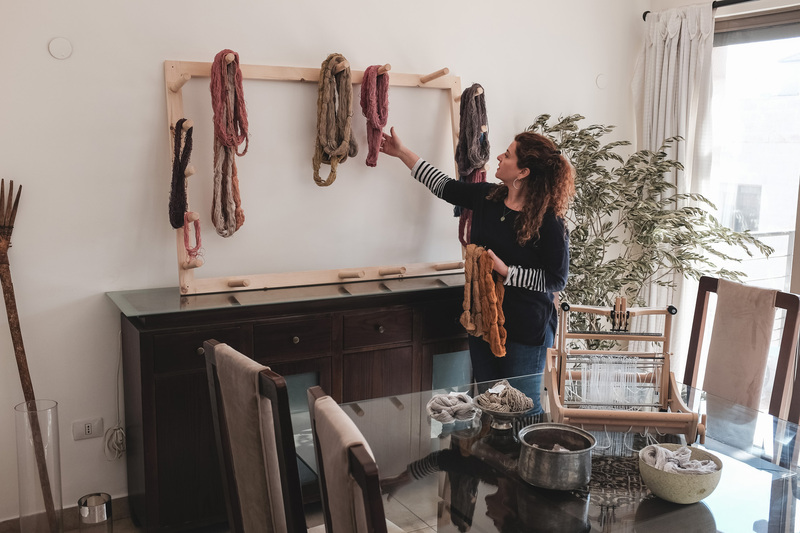 At ‘Tan Crafts’, the participants were introduced to the processes of producing natural dyes from organic materials such as fruits and vegetables. 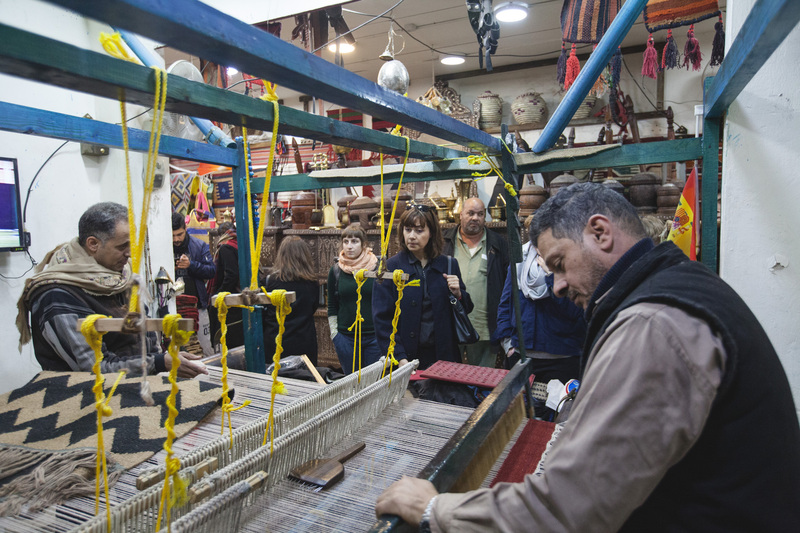 The participants also visited Essa Farrah’s store for carpets and rugs, where they were introduced to weaving techniques on the traditional loom. At Iraq Al Amir Women’s Cooperative, the participants had a firsthand introduction to the processes of paper-making using natural and recycled materials, and they also participated in a hands-on workshop in weaving and ceramics. 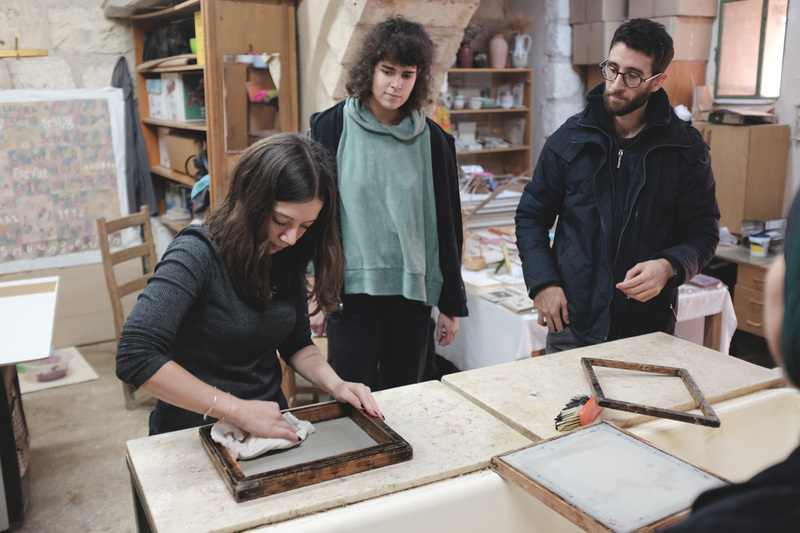 In a statement of hers, facilitator Annette Fauvel praised the diversity of the participants’ backgrounds, which “enriched both the theoretical and practical sides of the workshop, and encouraged an environment of experimentation of organic materials. These materials can be produced at home without the risk of exposure to toxic materials”. Fauvel specifically commented on the work of the ladies of Iraq Al Amir, whose techniques she found unique, natural and sustainable, hoping to come back to visit and work with them again. Bassam Huneidi, one of the workshop participants, whose expertise and interest are in sustainable food and economy based on reusing and recycling, said that he is happy to join the workshop. 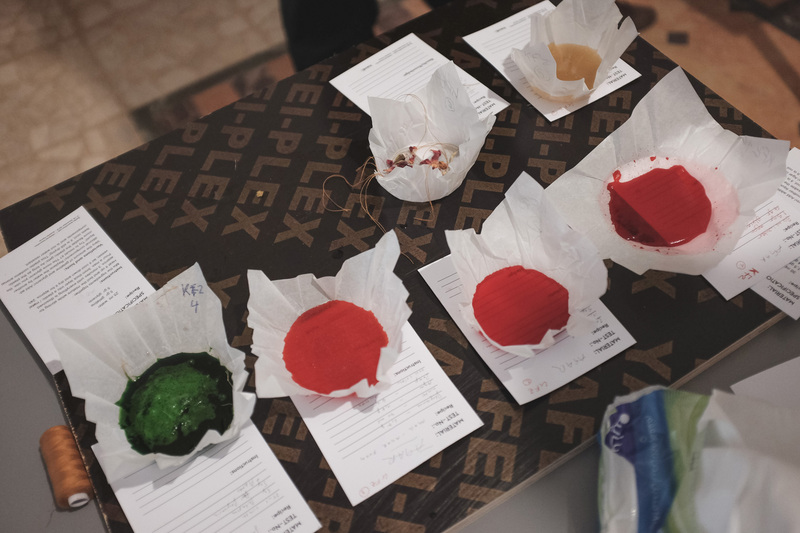 Bassam was especially happy to experiment with bioplastics, which can replace the plastic we commonly use today: “I was surprised to learn how easy it is to produce bioplastics, which can be made in anyone’s kitchen and using organic materials. Bioplastic, which can decompose within 6 to 12 months, is considered a sustainable alternative to plastic commonly used today, which is mainly made from fossil fuels, and which needs thousands of years to decompose”. Textile Innovation Lab I - Material Innovation is the first in a series of workshops and programs that explore innovative solutions and ideas within the textile industry. 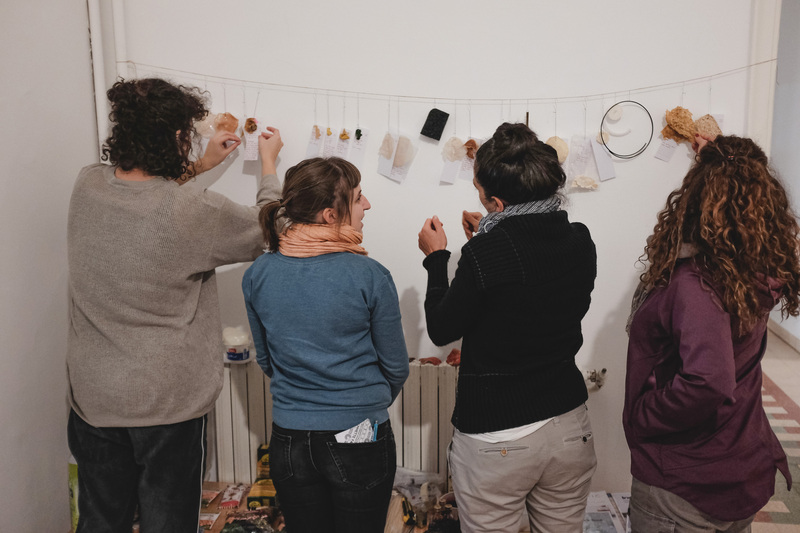 Each workshop of the series explores a specific theme related to any of the broad aspects of the textile industry; from materials, to processes and techniques, to applications and uses.